Greetings from our Customer Support team! Here players can find answers to any questions regarding Mongoose Casino. All our player inquiries are handles by a team of experts who are more than willing to assist in all manners possible. Before you come in contact with us, see if there is an easier way to answer your questions by visiting our Terms and Conditions or FAQ page. If you would like our friendly agents to help you with resolving any issues, you can contact them using one of the below methods. We would recommend Email or Live Chat as it allows you to refer back if the issue comes up again. 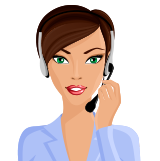 Our live chat service would be the quickest way to contact our customer support members and is most helpful if you have want to find answers to common questions immediately. In the case of our members not able to attend the live chat service or unavailable during the set period, players will be redirected to email by default. To utilize our live chat service, click on the Support tab on the bottom right of the navigation bar and select Chat to Us. You will need to enter your email address and username along with your username to help us speed up the process. Players can also select the category of their inquiry to make it easier for our support team. Our email support is available 24 hours a day; 7 days a week and we swiftly answer any inquiries made by players. Feel free to also provide any feedback regarding your experience with Mongoose Casino to help us improve areas that seem necessary. To send us an email, simply click on the Support tab on the bottom left of the navigation bar and select Email Us. To speed up the service process so you can get back to enjoying casino games, please make your inquiries clear as possible so we can get straight into finding a solution. Also remember that there as easier ways to get some answers quickly.